Maryland requires a Home Inspector to be licensed. This is accomplished by completing mandatory training, passing a national exam, continuing annual education, and meeting a specific legal standard for home inspections. Professional certification is voluntary membership in an accredited industry specific organization. Benefits include current industry news, methods, and materials; continuing education; and legal and professional advice. 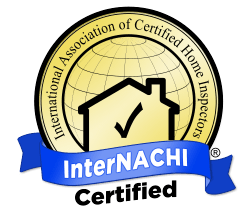 Independent Home Inspection is pleased to meet both MD Licensing and Industry Certification standards to provide a comprehensive inspection product. Let me show you my credentials.